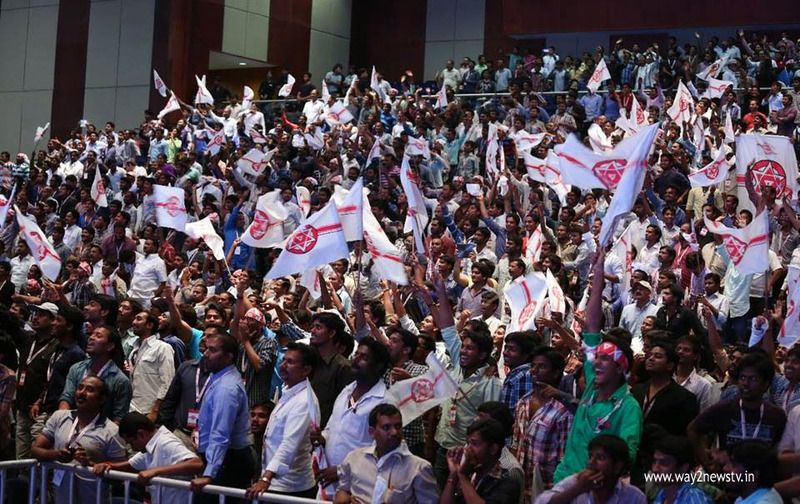 Stampede at the Janasena public meeting. Police were injured along with 10 jana sena activists in this incident.The injured have been taken to the hospital. Police are trying to detain the activists. Janasena activists are destroying the police plans. Barricades have been destroyed by the Janais activists. The activists were detained in the Janasena evolutionary house. The police were lazy to take control of the custody. Activists shouted to media vehicles. Leaders of the activists are not able to survive. 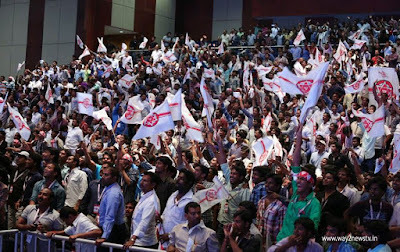 Jansana activists are hurting at the venue of the strong bout of power and the massive arrangements have been made to the Jana Sena day celebrations. 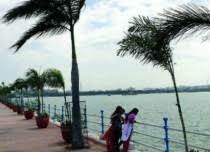 The campus is divided into 10 blocks on the ground opposite Nagarjuna University. 3500 flood lights have been set up. The LED screen was set up on the back of the stage. About 15 lakh fresh water packets and 5 lakh bottle packets were prepared to supply 500 drops of water to the House. 200 ambulance personnel are ready. There are cultural volunteers from 4 to 6 pm and 1500 volunteers are served.